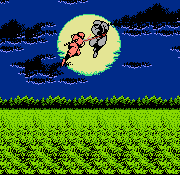 You can recompile Goomba Color with Game Boy Player enhancements enabled to enable rumble. Of course it's possible to emulate an SNES, but there's no way to intercept those signals without a GB emulator for GBA. And then you may as well just use mGBA. Can the Gamecube emulate a GB and a SNES at the same time, smooth enough to be enjoyable? mGBA's HLE of SGB enhancements is no problem. Oh, nice! And how can you do that? Is there some kind of guide, I could use or are there already ROMs of such games to download and use with a flash-card? You don't download special ROMs. All of the features are described in the wiki. use google or your favorite search engine. "goomba color" first 3-4 result look quite relevant. I recently got the Carby adapter to play GameCube games on hdmi. The best thing about hdmi (for me) is that it allows my tv to set the picture to 'just scan' to eliminate overscan (Which I can't do on component or composite). And it looks really nice! There is no more overscan and the picture quality is quite nice. Would it be possible to play WarioWare Twisted with the GBP when inserting a flash card into the GBP and the actual game card into a GBA, that is connect to the Gamecube? I know that you can use cards like the DS Rumble Pak with a GBA connected to the Gamecube, thanks to the GB Interface, but what about motion controls? And would it be possible to use the DS Motion Pack aswell? I really hope that there is an option for that aswell! 6. Install and open VirtualBox from https://www.virtualbox.org/wiki/Downloads then click "New", type any name, select Linux, Ubuntu 32bit and then 1024 MB ram. Last edited by omikes on Fri Feb 22, 2019 6:47 am, edited 21 times in total. I was able to update my Carby with no prior JTAG experience after days of trial and error. Perhaps I can help a bit. 1. I plugged the JTAG programmer into my laptop via USB. 2. I passed through the USB device named "XILINX" to the Windows XP virtual machine via the USB tab of that virtual machine's settings in VirtualBox. 3. I placed the GCVideo files and the installation files for Xilinx ISE Design Suite on a USB thumbdrive, and passed that USB device to the Windows XP virtual machine as well. 4. I started up the Windows XP VM and installed Xilinx ISE Design Suite. 5. I popped the Carby open with my fingers carefully by shimmying it open. This took quite a few minutes. Basically just pull the front and bottom away from each other as best you can while shifting it. 6. I plugged the deshelled Carby into a Gamecube. 7. 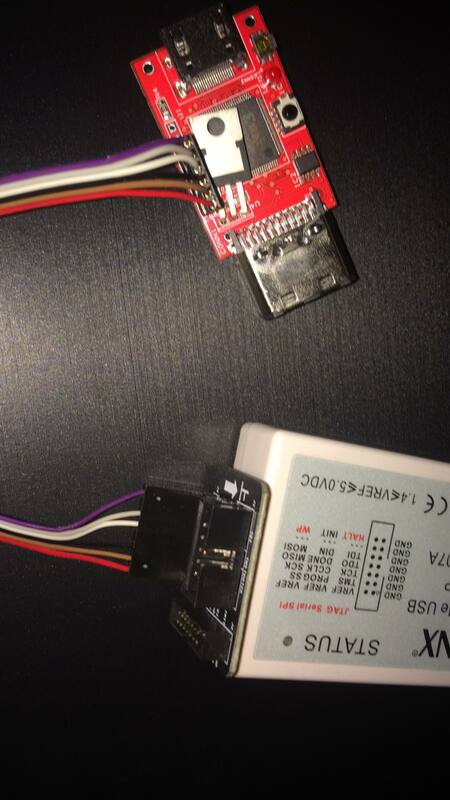 I plugged the JTAG programmer into the Carby (I guessed and checked the rotation of the JTAG ports, guessed wrong several times and didn't hurt anything, just try each side of the JTAG connection cable backwards and forwards until iMPACT recognizes one). 8. I turned on the Gamecube. 9. I opened iMPACT, which is one of the programs that is installed with Xilinx ISE Design Suite. 11. Once you've completed step 10 successfully, turn off the Gamecube, unplug the JTAG from the Carby, and test it out. It should show firmware 2.4b. All versions of GBI works better with 2.4b? All GameCube software look better with 2.4b. Spoilers have been broken for a while and I haven't been able to catch emu_kidid's attention on the matter. Cool. I take it it's theoretically possible to use the SGB boot rom for the SGB menus, and play 16-bit SGB mode Space Invaders? I said HLE, not LLE. Wow, thank you so much for this detailed information! I'm certainly gonna give this a shot when I get hold of that JTAG programmer. I'm going to make a Linux VirtualBox image if I can and just put in on my web server, because that Windows XP step is needlessly complicated, I think I can get the software to run on an old Ubuntu version or something and have it run the same way. edit: i added a virtualbox image to the steps and changed them a little to make it easier. Fixed 360p RGBcvS sync issue. Thanks to RetroRGB and Ste from HD Retrovision. Hello, first I would like to say a big thank you for this software it is absolutely amazing. I am a long time GameCube fan but very new to the homebrew scene so please forgive me if what I ask is very obvious or makes no sense. I have encountered an issue that I am certain is from my own misunderstanding of software/hardware capabilities, I will try to explain it as best I can. I am using a Pal Gamecube with a Carby HDMI adapter to display on my TV, I am using SDML to launch SWISS and then selecting a version of GBI. When I run the Standard GBI I am selecting 16:9, 480p and NTSC before launching the software, then using the in game menu by pressing x I am zooming to 2.75x, this fits the height of my TV almost perfectly allowing me to maintain the GBA aspect ration while not cutting off anything from the top or bottom of my TV. However when running gbisr with this cli file it does not appear to be the same as when using the standard edition and manually choosing the same options(excluding the gba matrix). It is quite difficult to spot but I have taken some pictures to try and help explain myself better. 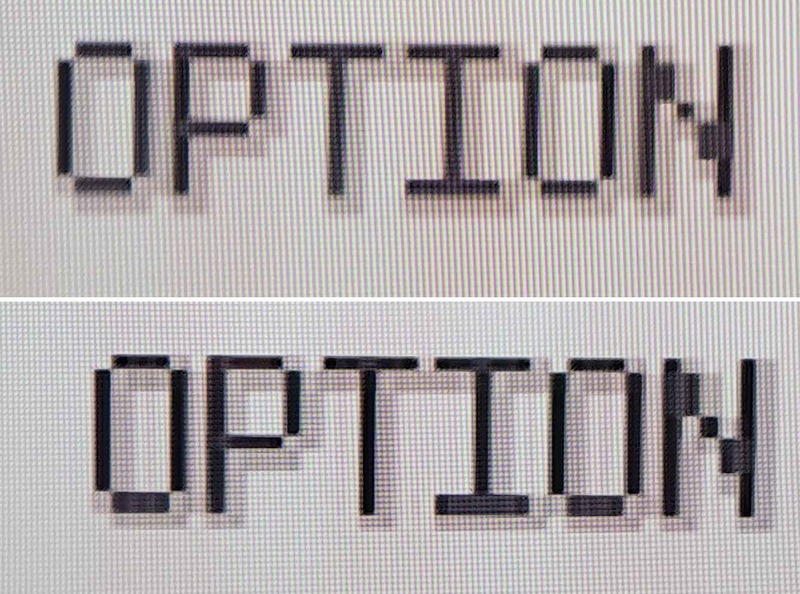 The top is from the gbi, the bottom is from gbisr with my above cli, notice how the bottom of the letters appears too thick and the top are too thin, This occurs across the entire image but I have zoomed in on one part in particular to highlight it. I have spent many many hours trying to fix this and have read all the wiki documentation to try and understand what I could be doing wrong. Have I missing out something required in the srcli file, or is the 2.75 zoom incompatible with speedrun? If anyone could help me to understand what I am doing wrong I would be so grateful, thank you and I hope this all made sense. However, another thing you might wanna check out is whether your tv is not over-scanning, which means the picture size is bigger than it should be. It depends on the tv where this can be set correctly, but look for display settings like "just scan" or "scan", I think "screen fit" is also right. Settings like "16:9" aren't correct. Also, in my case, the over-scan issue would only dissapear if I set my tv input name to "pc", you might wanna check that out if you don't have any "just scan" options.